WHAT MAKES BEE ME KIDZ DIFFERENT? There are many educational and recreational programs that make meaningful contributions to children’s lives. Here’s what makes Bee Me Kidz unique. 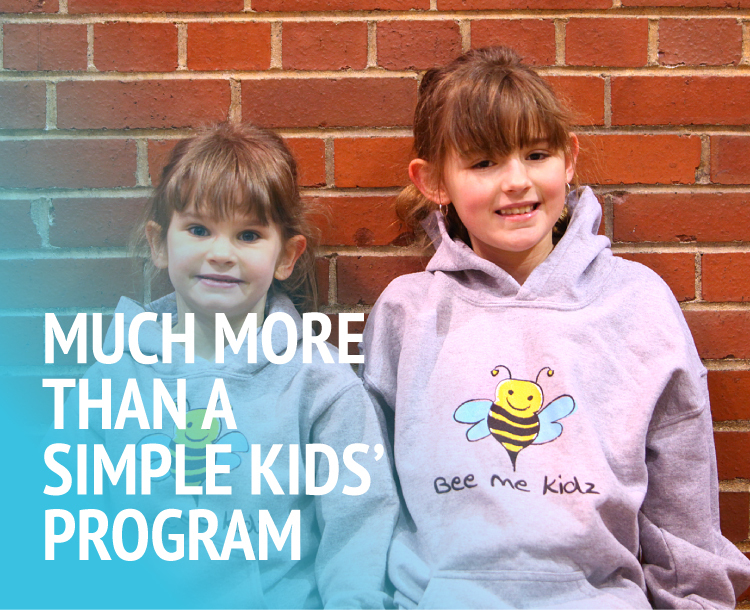 Bee Me Kidz is more than a simple help program for children. It is a partnership with parents, communities and schools that wraps disadvantaged children in a positive atmosphere of love, support and education. Bee Me Kidz targets important learning skills in a priority population of children who need these skills the most. Many programs address one area of child development. Bee Me Kidz addresses four areas in one program: social and emotional skills, nutrition, parenting skills and community connectedness. Bee Me Kidz includes a unique Parent Group following the Saturday morning family brunch in which parents and guardians can socialize, share parenting experiences and tips and learn how the learning their child is receiving can be integrated at home. Babysitting of Bee Me Kidz siblings is free during Parent Group sessions. Bee Me Kidz is the only program in New Brunswick using the highly-respected PATHS® Curriculum, which has been proven to strengthen the social and emotional skills that are crucial for school success. Bee Me Kidz provides PATHS in a unique context by offering it in our Saturday program and through our school partners, and by educating parents to reinforce the program at home. Bee Me Kidz is not a limited, short-term program. It operates every Saturday throughout the school year, integrates with schools in priority neighborhoods and continues after the school year is over through a summer camp program and community “BeeMeQ” barbecues. The overhead costs of the Bee Me Kidz program are 100% covered by a private funder.